Nope, no sir, the tail doesn't listen either. It is. You can tell without even seeing the face. Is there some way to keep the gambling info from infiltrating your blog? If we got odds on rabbits disapproving of this or that, it might be interesting. 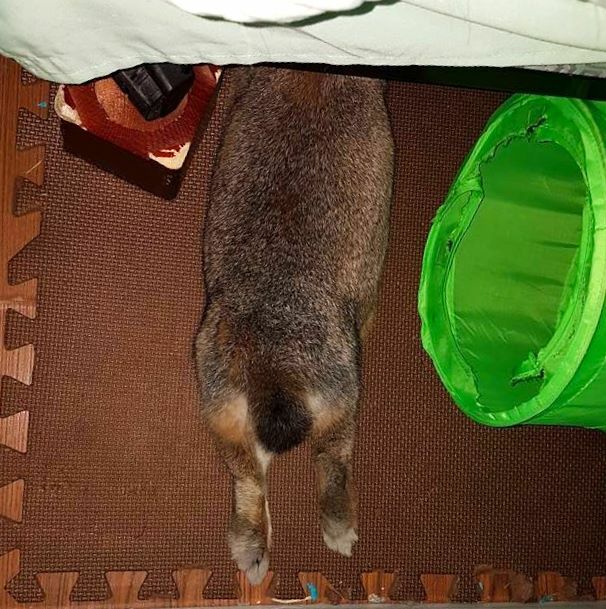 I don't see why we must limit bunny butts to Fridays! The Giant paws. Those soul-less black mesh eyes. Who amongst us was not terrorized by the Easter bunny as a kid? Get inside the Easter Bunny's head, and find out who the heck is in that suit, and what they're thinking.